Haramai te kōnehunehu! Haramai te hāuaua, Haramai te tarahī! Haramai te patapataiāwhā! Takataka mai i te kōmanawa o te hei tapu, whāinumia e koe e Waipuna-ā-rangi ka tupu te whenua, ka tupu te tangata! Welcome the misty rain! Welcome the drizzle! Welcome the showers! Welcome the heavy drenching rain! Fall from the spring of the sacred sky, give drink oh Waipuna-ā-rangi, the land grows and the people flourish. Almost two months of rain in one day. That was what the weather forecasters predicted. It wasn’t long before even their predictions were overturned as roads turned into rivers and sodden fields became inundated with water. Dunedin, Timaru, Waitaki, and the Otago region were first to declare a state of emergency. 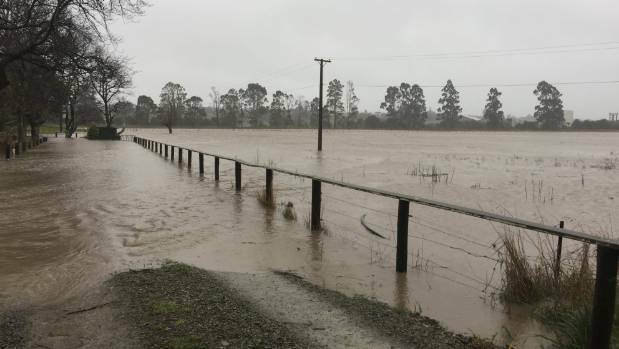 Residents in Mosgiel, Henley and South Canterbury were urged to consider evacuation. 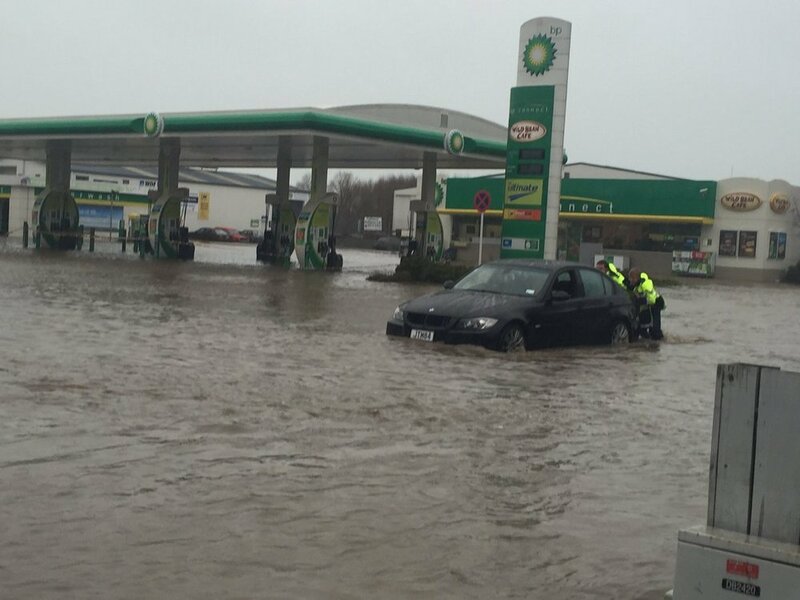 Whānau became trapped in their cars in Rakaia. Houses in Ashburton and Christchurch were flooded. The Taieri River is expected to experience its biggest flood in history. And as quickly as the rains came, so too did the trucks and soldiers from the New Zealand Defence Force, with an additional sixty troops on standby for urgent callouts. As the flood waters continue to rise, once more marae opened their doors, whānau went beyond their own circumstances to care for their kaumātua, to help neighbours evacuate, to provide the help that was sorely needed. Te Pūtahitanga o Te Waipounamu has been keeping briefed throughout these last critical 24 hours and wants to know if anyone is still in desperate situation. Contact us on Facebook or email (Helen.leahy@teputahitanga.org) and let us know your circumstances and what you need. Headlines were being made further South this week for another reason. ‘Made in Bluff’ will take on a new dimension in the next few years as the nation prepares for every child to learn computational thinking from 2020 on. Code Camp provides a way for mokopuna to learn how to code and to find out more about robotics; to understand the language of coding as a tool of communication. Ka pai, Te Rau Aroha: with marae initiatives like Code Camp we should expect to see the numbers of Maori studying information technology dramatically shift from just one percent as it currently is. Moe mai rā e te manukura, e te whatukura. Te Rau Aroha has been in our minds this week as we farewelled master carver, sculptor, painter, illustrator, and photographer, Cliff Whiting. Dr Whiting was instrumental in the arts renaissance in Te Waipounamu. Cliff took on many projects in Te Waipounamu including the carving of the beautiful wharenui Maru Kaitatea at Takahanga Marae in Kaikōura. He also led the carving of the unique wharenui named Tahu-pōtiki at Te Rau Aroha Marae in Bluff, the six pou that adorn the foyer of the Christchurch Law Courts building and the two great carved pou standing in the Albatross Centre at Pukekura, Ōtākou. His beauty will live on. the next steps and how MSD can complement the work. An independent Trust be constituted to govern, coordinate and implement Whānau Ora, and report to a dedicated Minister of Whānau Ora. The establishment of a specific Whānau Ora appropriation(s) managed by the Trust. Whānau Ora services are integrated and comprehensive, and focused on measurable outcomes that contribute to whānau empowerment. Whānau Ora services are shaped by te ao Māori. All government agencies with responsibilities for any aspect of whānau wellbeing commit to the Whānau Ora principles and support the Whānau Ora approach. The Trust establish regional panels to ensure Whānau Ora contributes in positive and realistic ways in local communities. The resounding question at the end of the session was regarding how to encourage better progress in addressing recommendation five. In this line, it would be great to hear from you how well government agencies are working with you in your entities and with your whānau. I had the honour of attending the Matariki Awards 2017 at the Auckland War Memorial Museum on Friday night. It was such a wonderful night of success and celebration, recognising the talents and tenacity of Maori champions across culture, language, sports and education. Taika Waititi’s sister, Tweedie, have a hilarious acceptance speech in accepting not just the Te Waipuna-a-Rangi award for Arts and Entertainment but also the supreme award of the night: Te Tohu Tiketike o Matariki. It was a magical night, capped off with some brilliant entertainment : Kaaterama Pou, Stan Walker and a medley from the vivacious crowd-pleasers, the Koi Boys (Danny Faifai; Kevin Keepa and Ngahere Ngatai). Finally, it’s always a great pleasure to hear feedback from our entity across Te Waipounamu. This week, that feedback extended the reach of the island from Murihiku to Wairau. Nga Kete Matauranga Pounamu Charitable Trust, along with the participants of the Hikoi te Hauora addiction recovery camp, have presented this beautiful tukutuku panel to Te Pūtahitanga o Te Waipounamu “because of their belief that whānau change is possible”. The panels are a modern take on traditional arts, using raffia paper and peg board. They were an amazing way to wind down after some physically challenging days. In presenting us with the panel, the narrative was aligned to the continuous tears of the albatross – as a metaphor for perseverance. He kai tangata, he kai titongitongi kaki; he kai na tona ringa, tino kai tino mākona noa. Food from another is little and stinging to the throat; food of one’s own getting is plentiful, sweet and satisfying. And to the top of the South, we received this beautiful note from the Gift Sisters: Ngaia, Natasha and Ranee. “18 months ago we were two stay at home Mamas with a dream and a passion for creating arrangements that make people smile … and Marlborough Gift Basket Creations was born. We connected with a Whanau Ora Navigator that led to our successful application to Te Putahitanga and our first funding payment in April 2017. This funding has helped us immensely – it has given us the opportunity to work with an amazing business coach (Susan) and a marketing Manager (Sigrun) - both have done wonders for our business including rebranding our name to tell our story – The Gift Sisters! (busy creating happiness), developing a professional uber-cool website (launch scheduled 31 July), marketing collateral and a solid base financial plan. Ngaia Gill and Natasha Vincent have developed a three year business plan to build Marlborough Gift Basket Creations into a strong and sustainable whānau enterprise, and will take care of the day to day running of the business. Whānau will be recruited to assist with market research and finding out what’s hot and what’s not. Whānau will also help out once the website becomes live and business increases. This would involve whānau assisting with the following: childcare, make arrangements, doing deliveries, packaging, stock takes and stock rotation. Marlborough Gift Baskets Creations feel this initiative is special because they want to become positive role models to other parents out there who feel isolated within their parenting role. They want to be an example of how dreams can become reality. And isn’t that what it’s all about! Happy Birthday Te Pūtahitanga o Te Waipounamu!